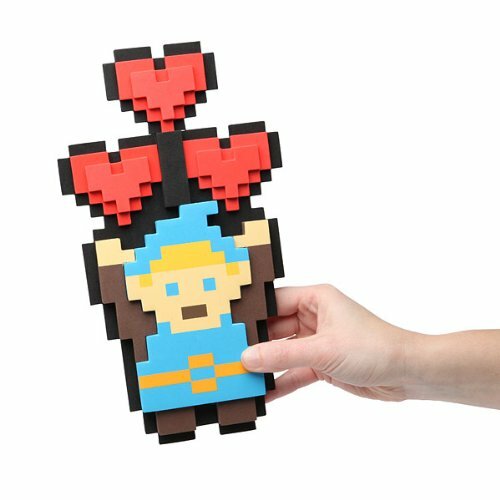 If you have a Valentine who loves old games or has been playing video games for years, then this selection of 8-bit retro gaming style gifts will be perfect. 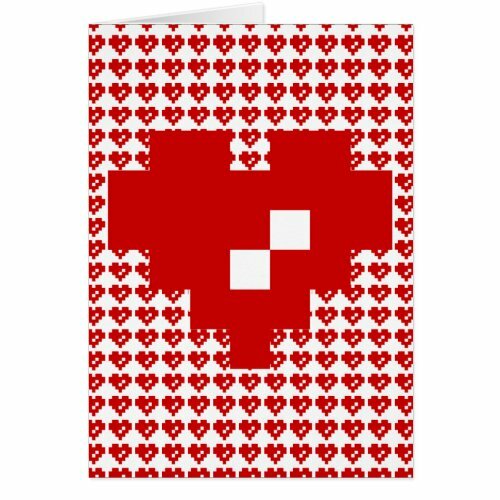 There are loads of 8-bit style gifts available but today, we have focused on hearts & flowers – the ideal Valentines day subjects. 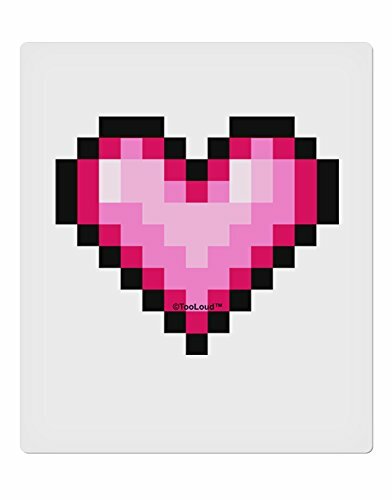 First up, we have 3 stylish and charming 8-bit themed Valentine’s Day cards – I adore the 3 tiny hearts, being filled with love – such a simple yet stunning way of declaring how much someone special means to you. Next, we have some cute but fun ornaments and decorations. 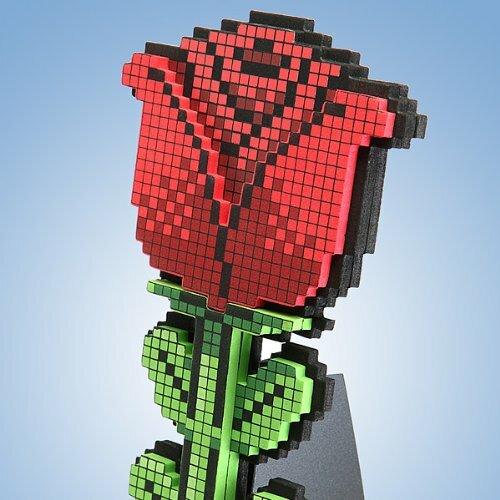 Both the 8 bit rose and the heart bouquet are simple but effective stand up decorations – just a little something to brighten up your loved one’s desk or cubicle. 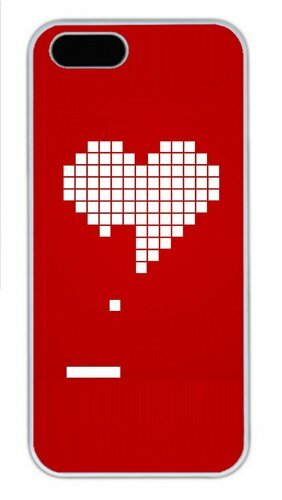 The pixel heart wall cling uses static electricity to stick to painted surfaces so it won’t do any damage to the wall and would be a lovely little gift for Valentine’s Day. 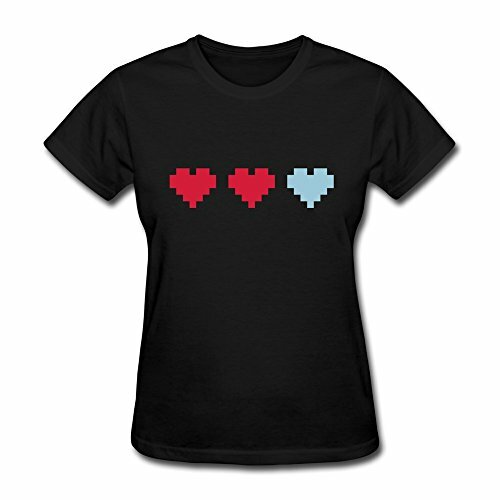 When it comes to buying gifts for girls for Valentine’s Day, I’d guess most ladies like some kinds of jewelry. 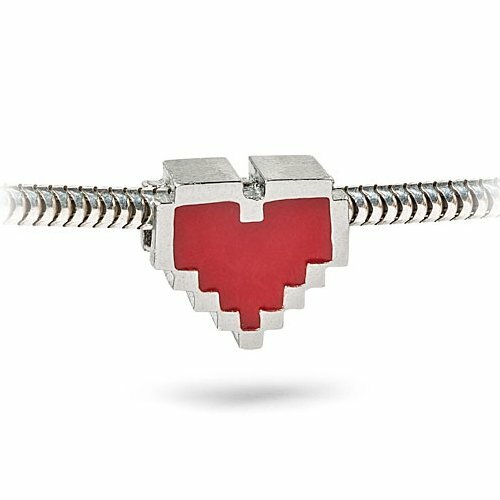 This 8 bit heart charm is silver plated pewter and fits most of the modern charm bracelets. 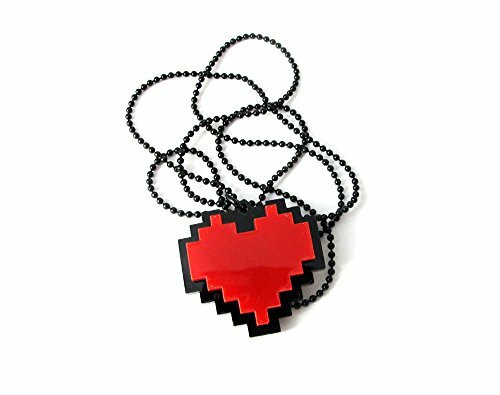 The pixel heart necklace is an acrylic heart on a long ball chain which can easily be shorted if required. It’s a type of plastic so it’s just a fun necklace for a costume or just to brighten up a dark outfit. 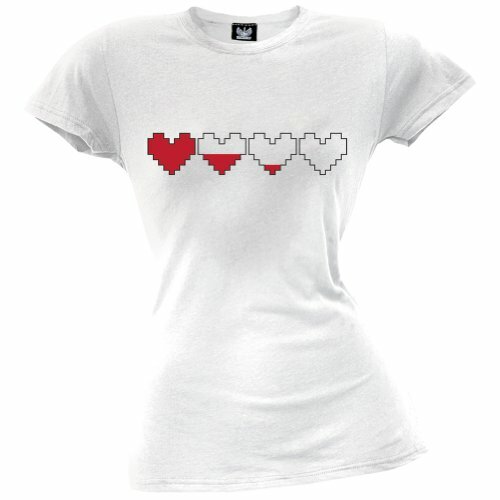 I know t-shirts and hoodies aren’t usually thought of as Valentine’s Day gifts but these 3 designs are just so perfect – the filling hearts is similar to the Valentine’s Day card so you could get both – the card for the day & the tshirt for her to wear as a reminder of the card & its’ sentiments. 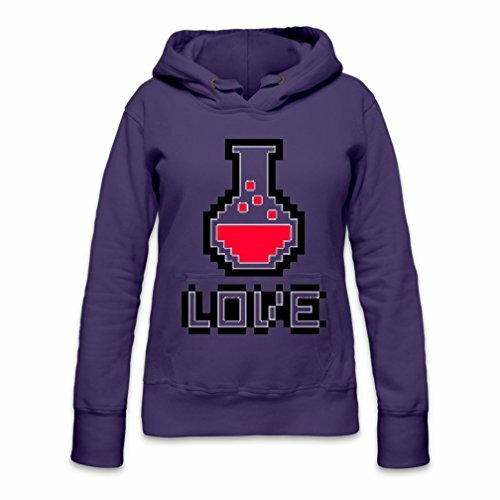 I just love the purple hoodie with the love potion but purple is my favorite color so I may be a little biased there! 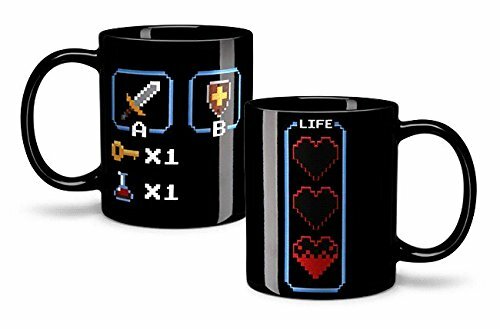 Lastly we have a couple of 8-bit mugs and an 8-bit heart pin. 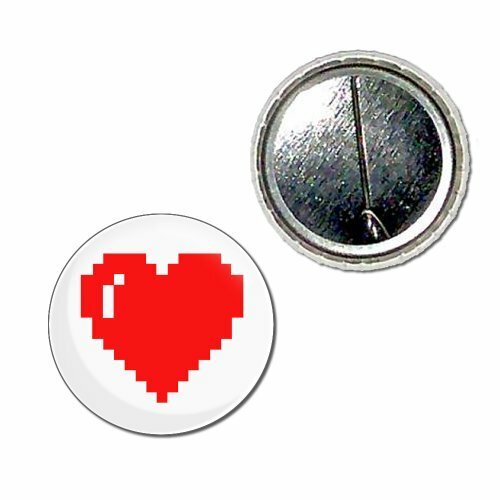 The pin is just a little extra gift you could add to a gift basket for your Valentine but the mugs would fit an 8-bit themed gift basket too. 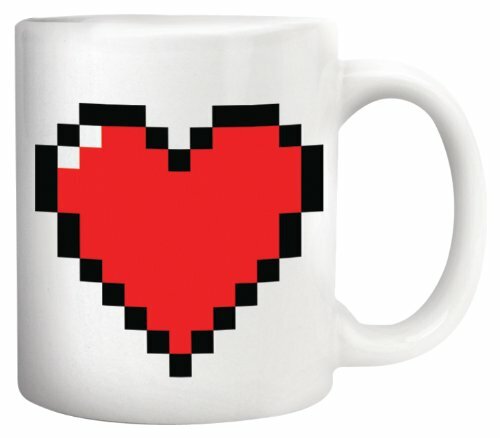 The legendary hero mug has not only the refilling heart motif but is also heat sensitive so when the mug is full, the hearts show as filled. 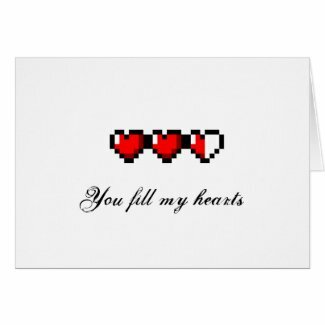 This selection of 8-bit designed gifts are all fairly low priced so would be ideal to make up a gift basket – just add in his or her regular perfume or cologne, chocolates and maybe flowers or a gourmet coffee blend and you have the perfect retro gamer Valentine’s Day gift basket. Stay tuned for more themed gift basket ideas over the next couple of weeks or better yet, sign up for our mailing list so you won’t miss any posts! If you’re having trouble finding that perfect gift for your Valentine, why not leave us some details in the comments below and we’ll try to find some suggestions for you.